A judge’s decision on Nov. 20 to temporarily block the Trump administration from denying asylum to migrants at the U.S.’s southern border will make a bad situation worse, U.S. Customs and Border Protection agents say. 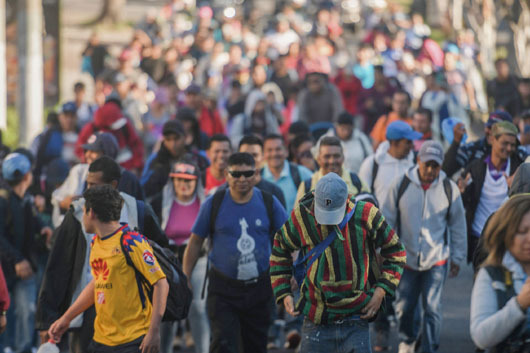 U.S. District Judge Jon S. Tigar of San Francisco ruled that President Donald Trump violated a “clear command” from Congress to allow the migrants to apply for asylum. Meanwhile, the presence of the U.S. military at the border is causing Mexico’s drug cartels to shift their trafficking routes away from the U.S.-Mexico border. Maltz noted that narco-traffickers are re-routing a large amount of their drug supplies through high trafficking routes along the British Virgin Islands, Puerto Rico, Florida and other states, presenting new obstacles for law enforcement battling the cartels. The cartels are using semi-submersibles, gulf fast boats, private aircraft and drones to move their contraband and narcotics “into the islands, South Florida, Louisiana and Texas,” Maltz said.